Law Offices of Sasha Katz values giving back to the community. Serving our clients would not be complete without also serving and supporting our local and global community. Throughout the year, our office partners with charitable organizations to raise funds and awareness. Our hope is that our clients will feel that their engagement with our office is not just a benefit to themselves, but to the larger community. Our clients often choose the charity that our office contributes to each time a real estate transaction closes. Our office also participates in many charitable projects through the year. We have chosen a handful of our favorite organizations to share with you. Please consider yourselves to be an integral part our office’s efforts to give back. We hope you are encouraged and motivated you to get involved in some of your own choice charities. Since 1997, 4KIDS of South Florida has been committed to providing a home for every child. Through a partnership of committed individuals, churches, corporations, and government agencies, 4KIDS has brought HOPE to over 20,000 children. From newborns to 17-year-olds, every child in Broward County who is removed from their families due to abuse, neglect, and/or abandonment is given loving shelter and supervision at SafePlace. The child placement agencies in Broward and Palm Beach County work with 4KIDS to place the child with a foster care family or at a family-style home that allows siblings to stay together while they await permanent placement. 4KIDS fulfills its mission to solve the orphan problem in South Florida by providing a loving home for every child! Each holiday season, our office partners with our clients and vendors to gather holiday gifts for orphans in South Florida. Each year, we are amazed at the generosity of our employees, clients and vendors. If you would like to join us in our efforts, please contact our chairperson for this event Letty Velazquez at lettyv@skatzlaw.com. She can be reached at 954 340-5310 . 30 million people in the world today are slaves. 24 million are women and children. 12 million are children. The average age of a modern day slave is 12 years old. These children are just trying to survive every minute, every day. Freedom Challenge rallies all types of women – sisters, mothers, wives, nurses, executives, teachers, artists and accountants – to help free oppressed and enslaved women and children around the world. In July of 2016, Sasha Katz along with 175 women from around the world hiked the Grand Tetons in Jackson Hole, Wyoming for three days. This physical challenge resulted in raising global and local awareness and more than $700,000 for freedom of enslaved women and children. To hear more about Sasha’s challenge, visit A Mother’s Heart is Universal. 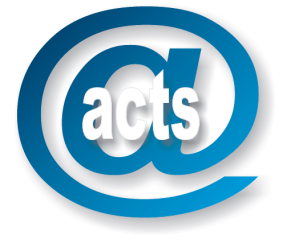 ACTS is a local program that provides adolescent girls an opportunity for success through hope, perseverance and a sense of pride in themselves. Director Connie Kern is a Mental Health Counselor, an advocate for the 19 girls in the group home and an admired colleague of Sasha Katz. Our office makes charitable contributions to ACTS to meet the needs of girls participating in ACTS programs. We have been overjoyed to hear that our contributions have helped fill gaps for resources such as school supplies. We also are a huge advocate of the Mentorship Program consisting of community volunteers that support, encourage and advise ACTS girls. To learn more, please contact Connie Kern directly at ckern@actsfl.org.